Let’s talk turkey: With Halloween now over, a lot of people push straight forward into the Christmas spirit; but that day of the year is (crust) around the corner where we get to overindulge ourselves with an abundance of food, get all dressed up to go nowhere but the living room, create cherished memories with our loved ones, and get a small break from the daily grind. I personally don’t allow myself to get into the Christmas spirit until after my belly is full of all these goods, because let’s be honest – if you can button your pants after feasting onThanksgiving; you’re doing it wrong, so Thanksgiving is truly a highly-anticipated event for us all before the frenzy of the winter holidays begin. 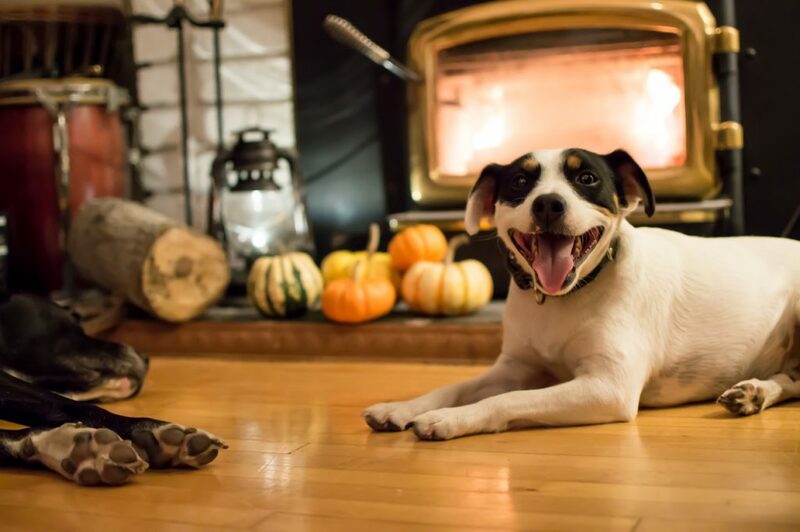 While it is a wonderful time of coming together with friends and family, it can also be a time when some of us can’t resist slipping our four-legged friends a little bit of our Thanksgiving feast under the table or allowing them a bit of our leftovers in their dinner bowl. Thankful-ly, there are a number of classic Thanksgiving treats that are safe and healthy for our favorite canine companions, but there are also some holiday foods that are hazardous for our pets and we want to make sure we keep them high up on our dinner tables and not under it! 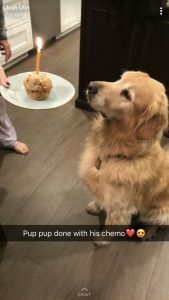 Here are some tips and tricks for you and your guests so we can all kick (bake) and enjoy this holiday with our furry friends. Our safe suggestions for your pet to feel like they too get to experience a feast fit for a king or queen, is to offer them made-for-pets chew bones, or stuff their usual dinner – perhaps with a few added mouth-watering tidbits of turkey, vegetables (try sweet potato or green beans) and dribbles of gravy inside a food puzzle toy! They will be happily occupied for awhile as they work to retrieve their mini feast from their toy, while you and your loved ones enjoy your special meal around the table. A few small boneless pieces of fully-cooked turkey and a taste of masted potato should not pose a problem, but be sure to be aware and inform your well-intentioned guests to not allow your four-legged loved ones to overindulge as they could wind up with an upset holiday stomach. From all of us at Groomington Coat Factory, we wish you all a safe and successfully stuffed Thanksgiving celebration later this month! We know how much you love and cherish all your pets. They are after-all the apple pie of our eye. Here at Groomington Coat Factory, we pride ourselves on providing quality care for every hair and it all starts with the skin. We use the industry’s top of the line high quality products by Les Pooch. Each product contains safe ingredients for dogs, they do not contain soap which can be drying to a dog’s coat and skin, and they leave each and every dog in our care with luxurious looking and feeling coats. Not to mention, they smell absolutely exquisite due to fragrances developed in the South of France by top perfumers, chemists, and elite industry professionals. The shampoo we grab for the most is the Vitamin Enriched Conditioning Shampoo enriched with Aloe Vera, Panthenol, and Vitamin E. Aloe Vera is recognized as one of the most effective, natural moisturizers which enhances your pet’s coat shine and conditions their skin at the same time. Panthenol; otherwise known as Vitamin B5, and Vitamin E deeply penetrate and moisturizes each coat from the root of the hair resulting in a longer lasting healthier look. It even eliminates the need for a cream rinse in most cases. This blend of powerful conditioners replenish nutrient-starved coats starting from the root. 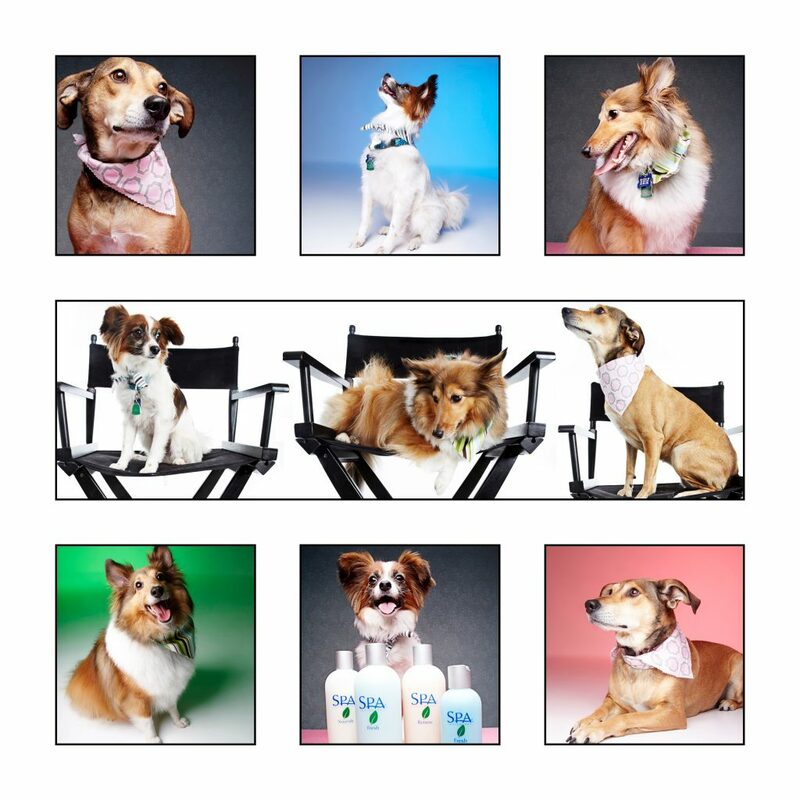 Les Pooch shampoos are also surfactant-based which means they promote lather and do not produce suds. Much like our own hair, suds and bubbles from soap are what cause residue and dandruff (dry, flaky skin). This allows our clients dogs to be left with the shiniest coats possible. Each shampoo is luxuriously fragrant but not overbearing and lasts for weeks at a time. No matter what the need, we always have a product to protect and pamper your four-legged friend thanks to Les Pooch – A pH balanced Hypoallergenic Shampoo, Tearless Puppy Shampoo, Medicated Shampoo, Brightening Shampoo, Micro-Encapsulated Creme Rinse, and Degreaser/Dematter/Deep Cleanser. These uncompromising quality products are formulated with the finest ingredients which truly allows our groomers to glide through coats, remove dead undercoat, and fluff for a soft, show finish with ease. Groomington Coat Factory was founded on the concept of delivering exceptional care for your pet and we believe this high quality product line is not only the most gentle, but the most effective for each and every one of our clients pets. We love it so much, we’d even use it on our own hair! Canine Cancer: Early detection is a key to recovery. Cancer. The heart-wrenching diagnosis that no one ever wants to receive. We immediately know our lives are about to change, and we become overwhelmed with thoughts, questions, and concerns for our loved one. Our dogs truly become a part of our family, and while the reason why they get cancer is often a mystery; it is our job as pet owners to look for warning signs and take preventative measures. An enlarging or changing lump. While there are warning signs to indicate your four-legged loved one might have cancer, not all canines display them the same way. 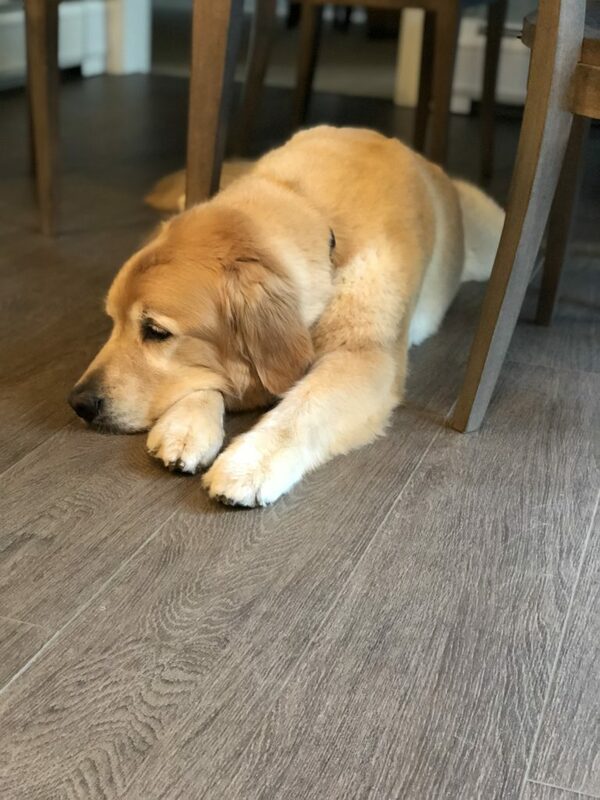 This was the circumstance for one of our most loyal clients; Debbi Ulin, and her adorable 9 1/2 year old golden retriever, Bernie. Unfortunately, golden retrievers in the United States have a higher risk of contracting cancer compared to many other breeds. While this is a recent development, cancer took the lives of 60% of U.S. goldens by the late 1990s. It was then during a grooming appointment with G.C.F. 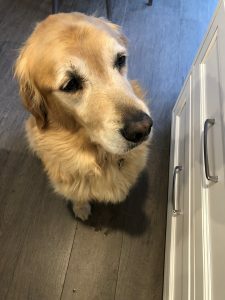 three months after the lump was first discovered, that our CEO and Pet Stylist, Cait, felt a lump on Bernie’s right hind leg, between his knee and his ankle and immediately encouraged Debbi to get it checked out. Once Debbi took Bernie to her veterinarian, Bernie was unfortunately diagnosed with a Malignant Mast Cell Tumor in his right hind leg. The Vet informed Debbi that Bernie’s tumor had metastasized to the closest lymph node, but that all other lymph nodes removed were clear. Debbi was happy to report that after 11 months, Bernie is doing well. All of us here at Groomington Coat Factory could not be more pleased to hear that he is in remission and will continue to fight. We are very proud to announce the Ulin’s success over this cancer nightmare. We want to strive to emphasize to all of our clients that all we can do as dog owners is continue to look for warning signs, keep them at a healthy weight, feed an anti-inflammatory diet, reduce their exposure to toxins, and refuse unnecessary vaccinations because early detection and prevention of this tragic, horrible disease is the key to recovery. Whether you decide to groom your dog yourself or take your dog to a groomer, your dog is going to need grooming it’s whole life. 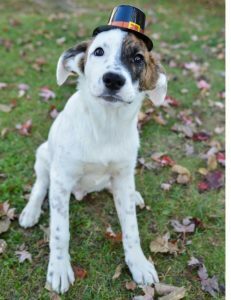 It is better to start getting your puppy used to grooming at around 3-4 months old so that grooming becomes a part of life opposed to a scary thing they have to do every once in a while. The nerve inside the nail is known as the quick, it is in the center of the nail. Trim the nails little by little until you see the damp dark center of the nail. OH NO! I nicked the quick!! Don’t worry, using a little bit of styptic powder or corn starch will help the blood clot and stop the nail from bleeding. Use a mild pet specific ear cleaner to clean the ears daily. Put some ear cleaner on a damp cottonball and wipe the ear flap and the outer part of the ear. Be sure to not use a cotton swab or to clean inside the ear canal. Doing this could possibly hurt the dog and may cause damage. Remember, human shampoo is for humans and dog shampoo is for dogs. Human toothpaste is for humans and dog toothpaste is for dogs. If your pet sheds a lot, use a tool specifically to remove their undercoat. If your pet has soft and silky hair, use a softer brush and a comb to prevent coat damage. Don’t know what tools to be using? It’s ok! Ask us and we will help you! Musch like humans, excess water in the ear canal can cause discomfort and possibly an ear infection. To prevent this, try putting a cotton ball in your pet’s ear to prevent water from entering the canal during the bath. Start brushing and combing your pet the day you bring them home. Continue this routine everyday to acclimate them to proper a proper brushing routine. Brushing is essential to keep your pet’s coat knot free. 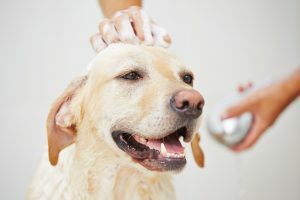 Proper skin and coat care is essential to your dog’s overall health. 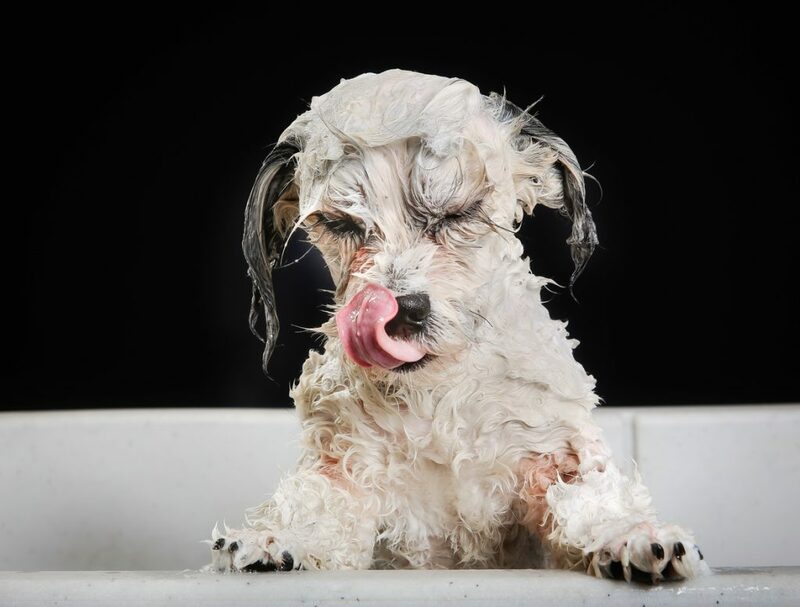 Be sure to have your pet bathed every 4-6 weeks to keep their skin clean, dirt free and smelling fresh! So we hear that blogging is an up and coming thing…. Well… Hello beautiful people! 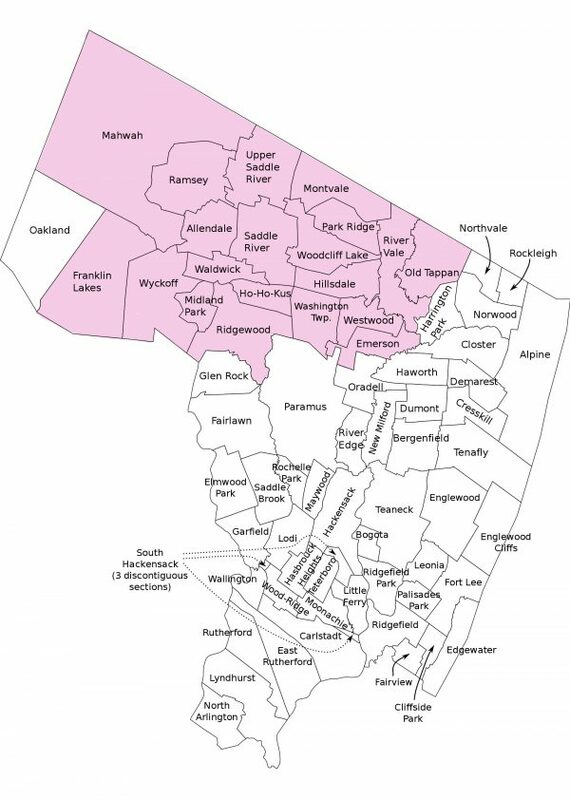 And welcome to our blog! My name is Cait and I am going to narrating (aka doing all the talking, or chatting up a storm) here on The Daily Sniff!